Coming to the University of Panama for the first time, I did not know what to expect. I was excited to converse with the students and make new friends but most importantly I was ready to dance, teach and learn from the Panamanian dancers. It was a dance exchange like this that I have always wanted to experience and Panama gave that to me fully. 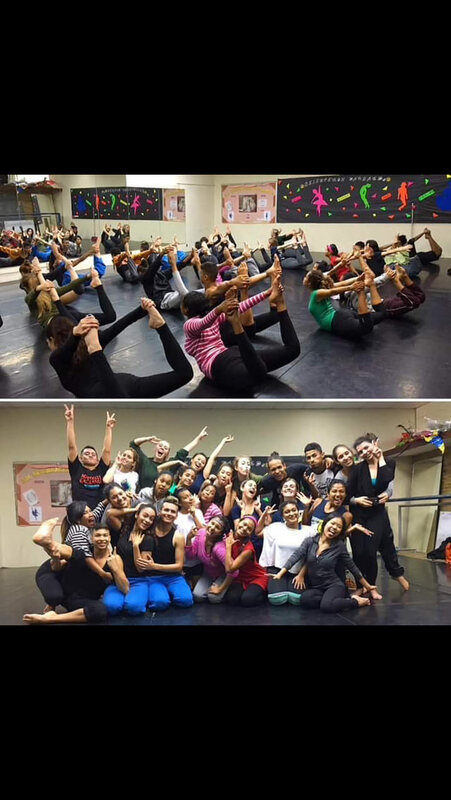 On Monday August 29th, class was lead by two of the Panamanian 3rd year dance students. After starting the class with warm ups and conditioning, the students lead us through a great across the floor exercise which was very helpful because it consisted of the movement which was later applied to the choreography we learned. Doing the across the floors is one of the best memories I will keep from my experience at the University. It was amazing to see how all of us were working hard but also made it essential to cheer each other on and get to know each other a little bit more. The support in the room was constantly blooming. When it came to learning the actual choreography, it came very easy to most people in the room since we had already visited most of the material during the across the floor. It was great to be able to stand next to someone new and learn together. There were a few moments when one of the Panamanian girls and I made constant eye contact to double check with each other if we were doing a move correctly or to clarify timing. After a constant exchange of smiles, I knew that we both felt comfortable with each other and were happy to be dancing together. It was nice to have made this connection with her because after we finished working on the choreography, there was a session of contact improvisation which we both immediately engaged in together. The next day, Tuesday August 30th, it was our turn to lead the class. After a warm up and ab workout lead by Chay, Rae lead the class through a contact improv session in which we created a large circle and different dancers could go into the circle whenever they felt that they wanted to while the remaining dancers stayed back and watched. This was one of the best experiences I have ever had with dance because it was a very vulnerable experience for all of us. It was amazing to see how easy we were all able to trust each other and organically come together and do a lot of intense lifting and weight sharing which requires complete surrender to one another. It was in this moment that I realized the power dancers have when they come together. Although most of us could not understand each other, it did not matter. It was the magic of dance that brought us all together and created this beautiful exchange. It was now time for Terra and I to teach choreography to the class. My main role was that of being the translator for the class. It was such a rewarding experience for me to be able to translate for Terra during her section of the choreography but also watch her shine as she demonstrated the moves and counted in Spanish. I felt that this was such a breakthrough moment because even though some were nervous about teaching and not knowing the language, we quickly leaned how not essential speaking was because with dance it’s all about sharing, acceptance and openness. It was amazing to see how hard everyone was working which let me know that everyone in the room had come with the same attitude of giving and receiving. This made me feel so full inside. We ended the class with foggy mirrors, sweaty floors and full with love and life.